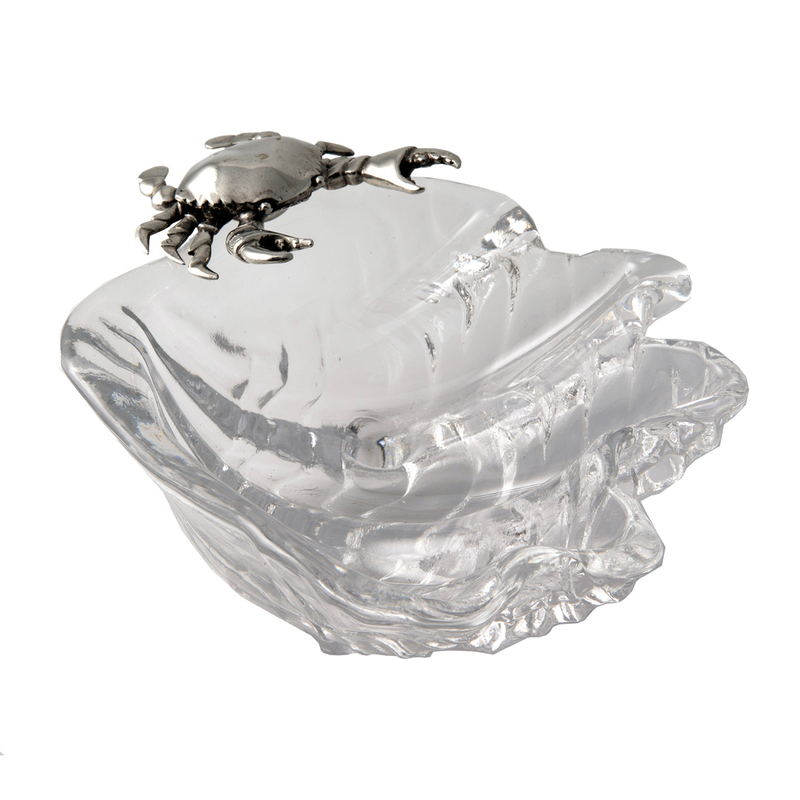 Create effortless style in your beach dining room with the Crab on Shell Dip Bowl - Large, beautifully made with wavy, sensuous hand-blown glass imagined as a miniature, iridescent Singapore half clam shell accented by a tiny, detailed pewter crab figurine. This coastal dinnerware ships from the manufacturer. Allow 3 to 4 weeks. Cannot express ship. For additional items, we ask you to take the occasion to explore our entire assortment of coastal dinnerware at Bella Coastal Decor today.